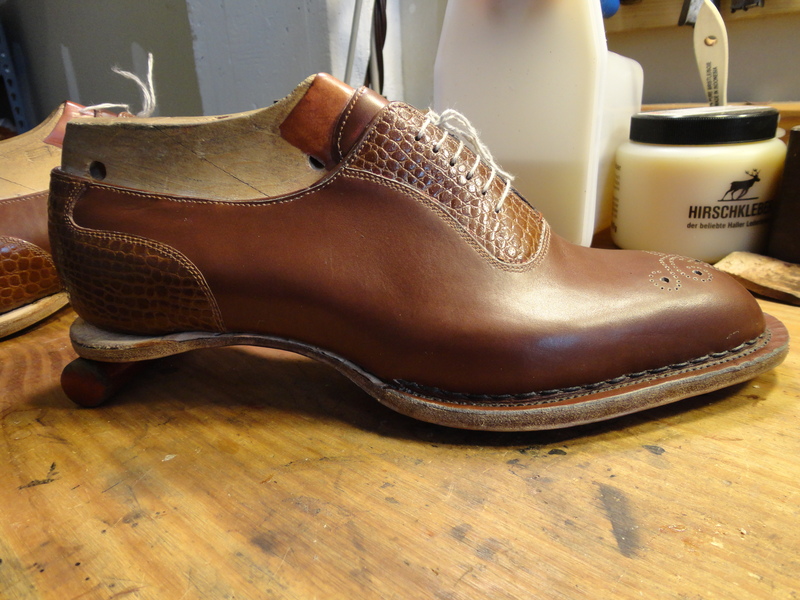 The sole edge has yet to be trimmed out and the heel will be built after. I know this is an old post, but I am still dying to ask a question. When you refer to the challenge of making a seamless transition, are you describing what must occur as the Norwegian stitch stops at the waist? 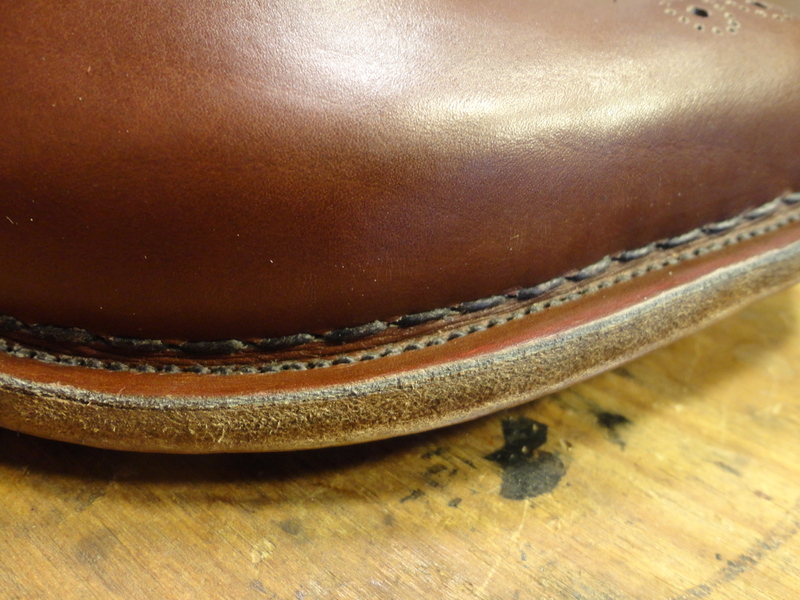 At that point, if you are transitioning to English welt stitching or to pegged construction, it seems to me that you must also switch from turning the upper out to turning the upper in. Do you accomplish that by means of a fold or by means of an artful cut at the transition point? Yes, correct. The waist is English welted and the way I accomplished the transition was with a cut. Thank you! Your work is so beautiful.